Low salt, low fat, and low effort! 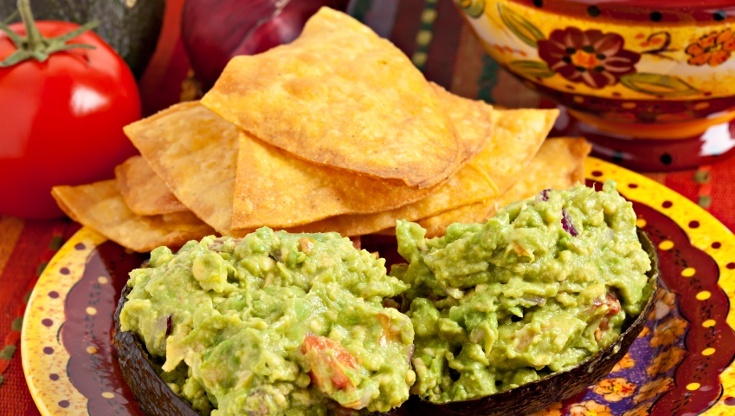 We love making fresh chips and serving them hot with a side of Barbara’s Guacamole. Try it, and you’ll never want store-bought chips again. Preheat the oven to 325 degrees. Stack the tortillas on a cutting board. With a pizza cutter, cut the tortillas in half, then in half again. Place them on an ungreased baking sheet. Bake 3 to 4 minutes, then remove the chips from the oven and turn each wedge over. Return them to the oven and bake 3 minutes more, checking to make sure the chips don’t turn too brown. Place the chips on a wire rack to completely cool. Store them in an airtight container and use within 1 week. As you can see from the recipe instructions, there’s no need to douse chips in grease to make them crispy and delicious. You can also have fun with the shapes of the chips when you make them yourself. Sure, usually tortilla chips come in triangular shapes, but there’s no hard and fast rule. You can make circles or squares or even stars if you’re feeling ambitious!